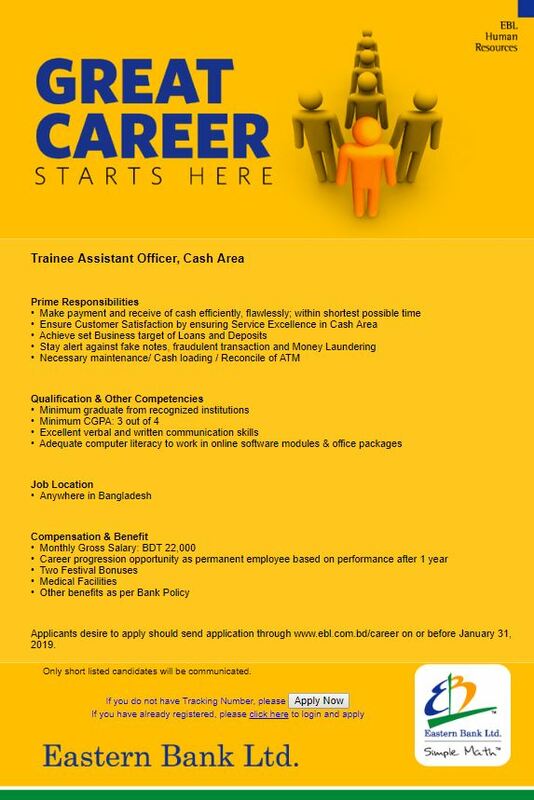 Eastern Bank Limited (EBL) has published a new job circular in their website. We also posted the EBL job circular 2019 in our website. Eastern Bank Limited is a private commercial. This is a well-known bank and many people in our country want a bank job this job offer is for them. If you are looking for another job just visit this website. In this website, we also updated job circular every day. You can find a Government job, Private jobs, company jobs, NGO jobs etc. circular in our website. Eastern Bank Limited is established in 1992. The bank headquarters is in Dhaka, Bangladesh. This is a banking industry and they provide only banking services. It has 59 branches and about 3,000 employees. They are offering a job recently by published a circular. For that job, the applicant should not be experienced. 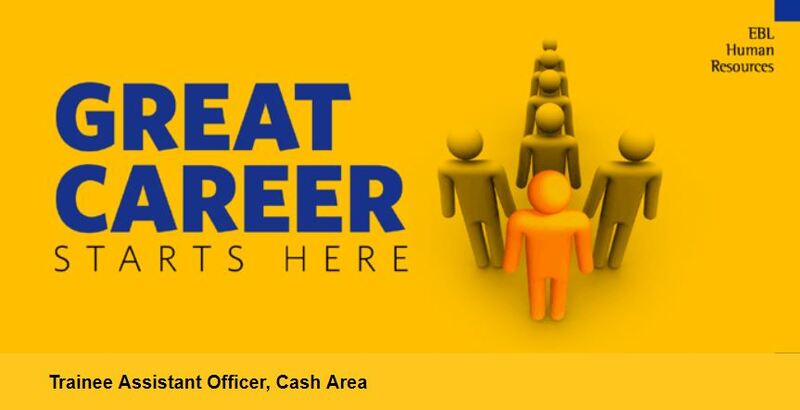 They are looking for a trainee assistant officer in the cash area. The job location can be anywhere. Graduate fresher also can apply for the job. You can also apply in the method of online. You have to fill the application form and attached a cover letter with your photograph. The cover letter must be written in English. You have to apply for the job before the deadline. The last date of application is on 31 January 2019.